An extremely rare shrub now found only in the Azores Islands where it is almost extinct. This extremely attractive plant has distinctively white-veined, leathery green leaves and large yellow flower heads which are strongly honey-scented in spring and summer. Categories: Autumn, E-H, Featured Plants, Plants A-Z, Plants by Season, Plants In Situ, Spring, Summer, The Hot Border, The Woodland Walk, The Yellow Garden, Winter. One of the largest Euphorbias and an extremely rare shrub now found only in the Azores Islands where it is almost extinct. 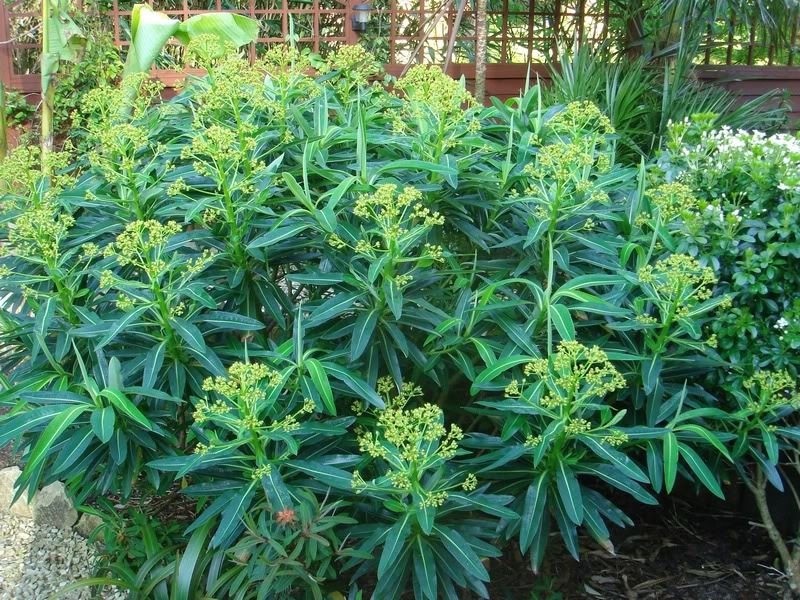 This extremely attractive plant has distinctively white-veined, leathery green leaves and large yellow flower heads which are strongly honey-scented in spring and summer.